The place is ineffably beautiful! If words thus are inadequate, I shall say no more. 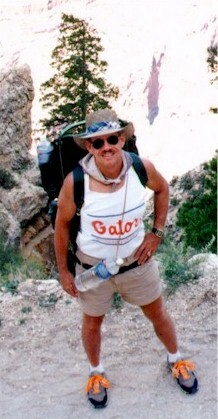 – Irvin S. Cobb (1876 – 1944)Want to hike the canyon? 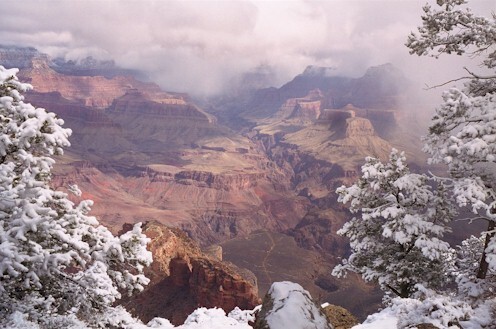 If you plan to camp you’ll need a PERMIT from the Grand Canyon National Park Backcountry Office. Visit the National Park Service website to download maps. … and more 2000 pictures here. 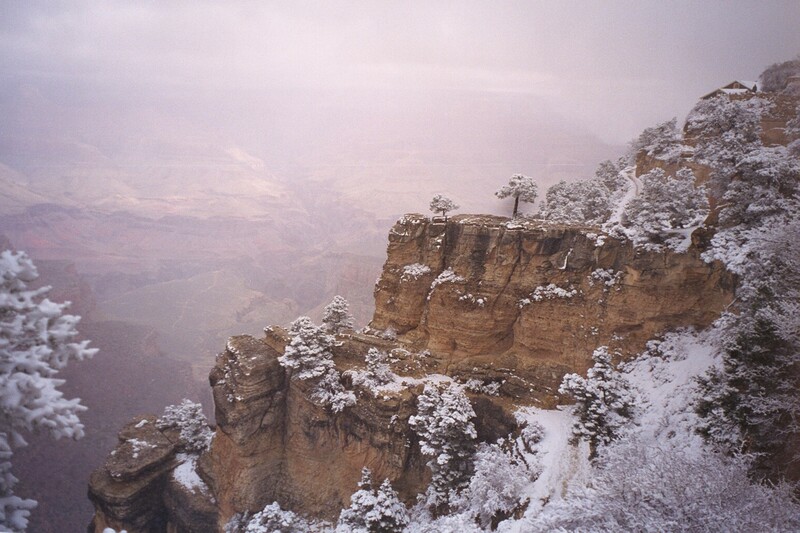 Here’s the Canyon in winter – February, 2000.